The Type 2 Ho-I is a medium fire-support tank. Its development began back in 1937. Based on experience obtained during military operations in Manchuria, the Japanese military command decided that it would be nice to have a tank with a powerful cannon capable of destroying well reinforced enemy firing positions. 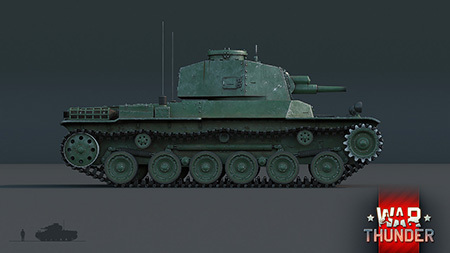 Since a support tank must move in tandem with regular tank divisions and with the other vehicles, the highly maneuverable Chi-Ha medium tank was selected as a basis for the Ho-I. 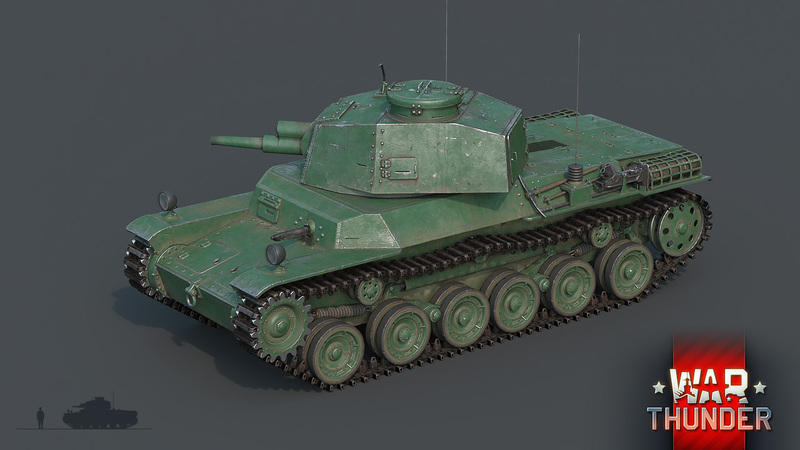 In 1942, the Chi-Ha was equipped with the short-barreled 75 mm Type 99 cannon, which was a recast of a German mountain gun produced under license in Japan. And so the Type 2 Ho-I was born. The Ho-I medium tank was intended for providing proficient support to Japanese armored divisions in which the majority of tanks carried 47 or 57 mm cannons and hence could not effectively take down enemy fortifications. For Japan’s armored forces, the Ho-I was supposed to become the equivalent of the early versions of the Wehrmacht’s Pz.Kpfw. IV. All 33 Ho-I tanks, not counting the first prototype, were eventually built on Chi-He medium tank chassis (the modernized version of the Chi-Ha). Having stood guard over the islands of the Japanese archipelago until the end of the war in the expectation of an American invasion, the Ho-I never managed to take part in the Second World War. 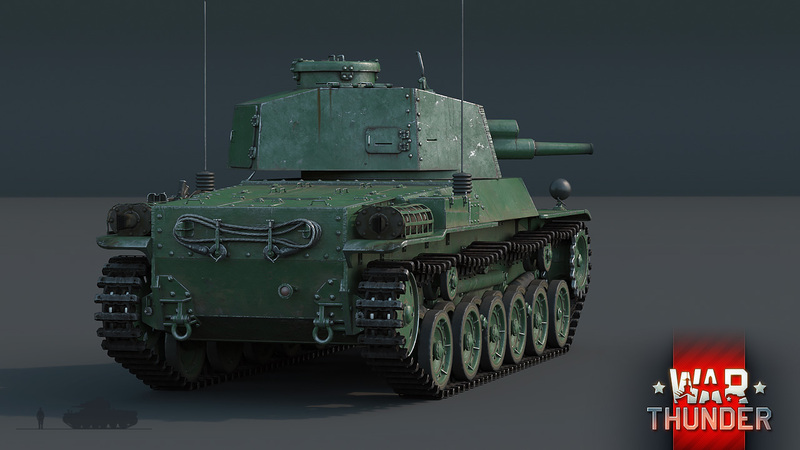 We’ve decided to correct this omission, and soon, the Type 2 Ho-I will appear on the battlefields of War Thunder. 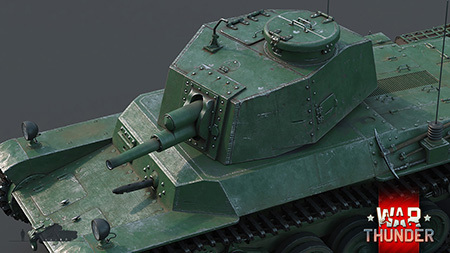 In the game, this tank will be a truly threatening machine, and the reason for this is its high-caliber (for Japanese tanks of that time) cannon. This is because of its truly murderous shells – the Ho-I’s ammunition complement includes semi-armor-piercing cavity charges with a TNT ‘filling’ of up to 460 grams! This is three times greater than the TNT content in Soviet cavity charges for the short-barreled cannon on the T-26-4, and almost 6 times greater than the TNT content in the cavity charges for the famous German ‘stumps’ on the early-series Pz.Kpfw. IV. Just one successful penetration from such a shell will be more than enough for almost any possible opponent. But even if this mighty charge fails to pierce the tank, then its detonation alone at the contact point is more than enough to simply fracture it. Through all of this, the maximum armor piercing of these shells remains, if not the best, then more than acceptable, so there should be no particular need to aim carefully for vulnerable spots. The Ho-I’s ammunition complement also includes not bad high-explosive shells, and for fighting against the thickest skinned targets, you can always use a hollow-charge shell. At 50 mm in thickness, the Ho-I’s frontal armor is fully capable of withstanding hits from multiple armor-piercing shells, but it's best not to expose its sides and rear to too many shots. This relatively light 16-ton tank is capable of quickly gaining speed, so it can be used to perform unexpected flanking maneuvers. Just imagine your opponent’s sincere bewilderment when a half-kilo explosive shell suddenly hits him in the side! 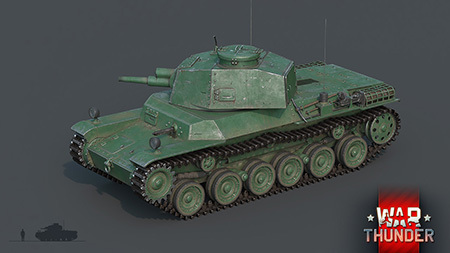 In War Thunder, the Type 2 Ho-I will be in the lower ranks of the Japanese tank tech tree. The Ho-I will arrive in the game very soon. Are you ready to support your comrades with fire from your 75 mm howitzer? No one expects new Dev Blog with Japanese Tank! I am pretty sure that sooner or later we will get special decals dedicated to Japanese Army. About to finish the army tree of the teaparty nation, my next goal will be this. I shall call it "The Honorbru Grind". The Emperor will be pleased! It would be nice if we would get to see a tier 5 tank in one of these dev blogs. I'm curious as to what they'll choose for a top of the line tank. PilotAwesome_FIN, Is that like a Leo copy? Can you show us a heavy next?